Four days of San Luis Obispo wine and food. On Thursday, April 30, the Barrels in the Plaza event is held in downtown San Luis Obispo’s Mission Plaza. On Friday, May 1, there are Winemaker Dinners throughout south San Luis Obispo County hosted by wineries including Baileyana, Claiborne & Churchill, Domaine Alfred, Edna Valley Vineyard, Laetitia Winery, Ortman Family Vineyards & Salisbury Vineyards, Per Bacco Cellars and Tolosa Winery. 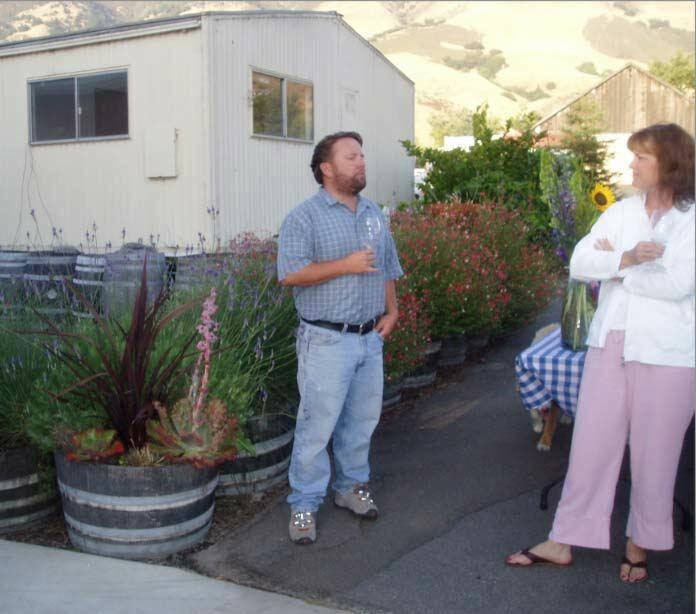 Saturday and Sunday, May 2 and 3, participating wineries will have special open houses and events. 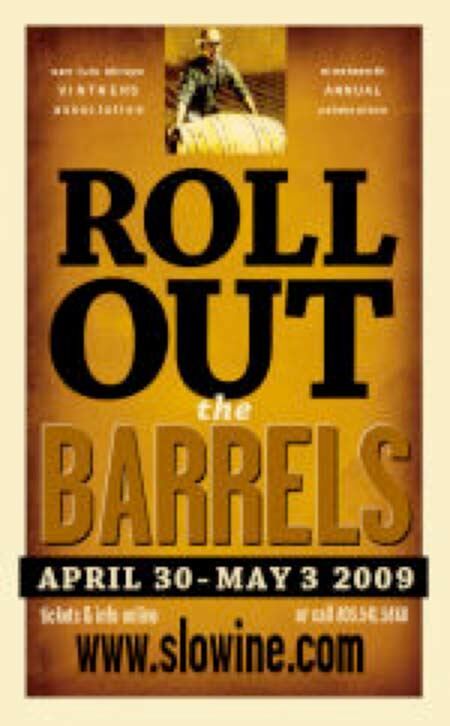 Roll Out the Barrels is sponsored by the San Luis Obispo Vintners Association (SLO Vintners). Visit www.slowwine.com for details, to view a video on the event, and buy tickets. Another regional event of great interest is a winemaker dinner by Mike Sinor (formerly Domaine Alfred, now Sinor-LaVallee and Ancient Peaks) at Et Voilà restaurant in San Luis Obispo on Friday, April 24, 2009. For reservations call the restaurant at 805-544-3663. Mike is pictured below talking PInot. Taste the Place showcases a select gathering of estate wineries of the Yamhill-Carlton District AVA of Oregon’s Willamette Valley on Saturday, April 25 from 11:00 to 4:00 at Anne Amie Vineyards, 6580 N.E. Mineral Springs Road in Carlton. $10 admission includes tasting and appetizers. Participating Yamhill Valley restaurants include Cuvée, Joel Palmer House, La Rambla and Nick’s Italian Cafe. 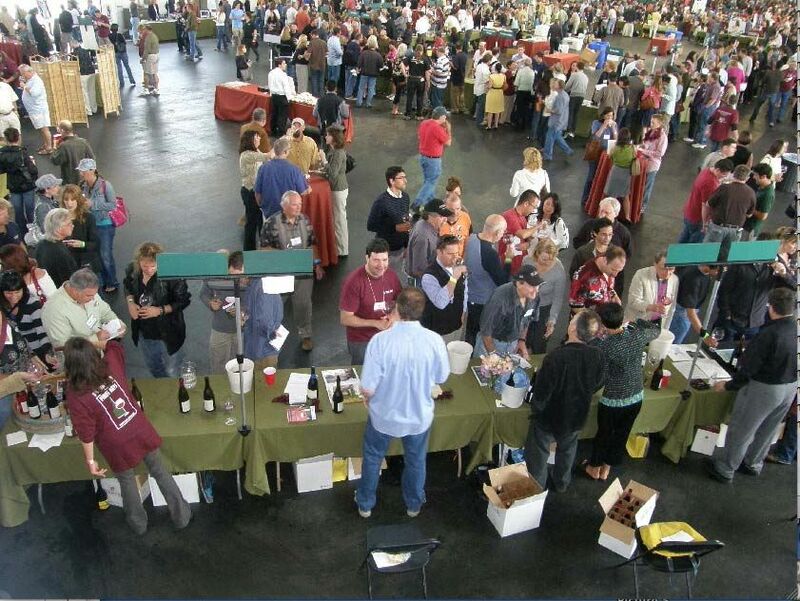 Participating wineries include Anne Amie, ADEA, Atticus, Barbara Thomas, Belle Pente, Carlton Hill, Carlton Cellars, Elk Cove, Ken Wright, Kramer, Lemelson, Monk’s Gate, Panther Creek, Raptor Ridge, Resonance, Roots, Shea, Sineann, Soléna, Soter, Stag Hollow, Twelve and Willakenzie Estate. For details visit www.yamhillcarltondistrict.com or phone 503864-2991. This event is part of the Willamette Valley Wineries Association’s 150 Days of Wine in the Willamette Valley, a series of wine events and activities taking place between Valentine’s Day and Labor Day 290. For more information on these events, visit www.willamettewines.com/oregon150/index.shtm/. The Dundee Hills Winegrowers Association presents the 4th Annual Dundee Hills Passport Tour on Saturday and Sunday, April 18 and 19. Interesting seminars are scheduled such as “All You Want to Know, But Were Afraid to Ask Regarding Vineyards and Grape Growing,” “Benefits of Sustainable Agriculture,” “Starting Your Own Winery - Dream or Delusion,” and “How Mother Nature Dictates Vintages and How We Deal With It.” Over 30 wineries are participating, many of which I have featured in the PinotFile including Argyle Winery, Daedalus Cellars, Dobbes Family Estate Winery, Domaine Drouhin Oregon, The Eyrie Vineyards, The Four Graces, Lange Estate Winery, Maresh Red Hills Vineyard, Stoller Vineyards, and Winderlea Vineyard & Winery. For information and to download your passport visit www.dundeehills.org.